Laudato Si: On Care for Our Common Home from Pope Francis, addressed to “every person living on this planet,” is an inclusive dialogue about how we are shaping the future of our planet. Pope Francis calls the Church and the world to acknowledge the urgency of our environmental challenges and to join him in embarking on a new path. This encyclical is written with both hope and resolve, looking to our common future with candor and humility. Laudato Si invites us to reclaim our Catholic Mission to care for God’s created world and the dignity of the human life created in the image of God. The Pontifical Mission Societies help local churches bringing the Gospel to those on the margins of human society respond to natural disasters and promote the dignity of poor people trying to build sustainable futures for their families. 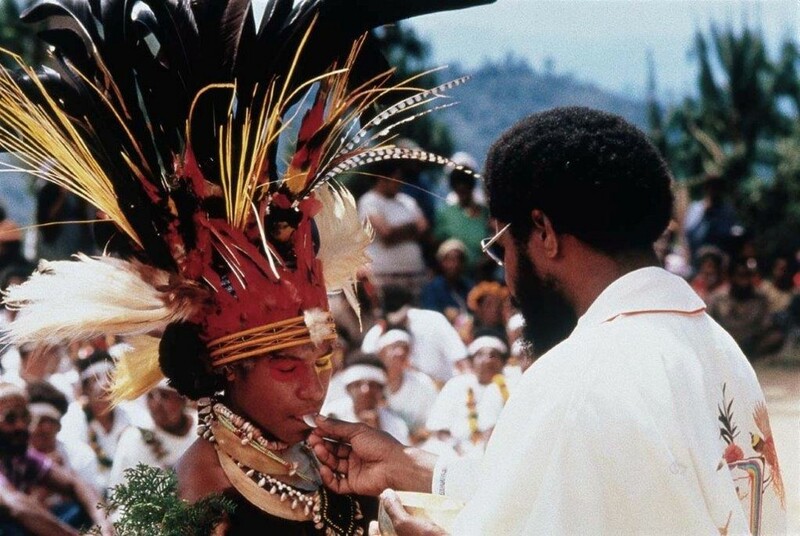 These Churches, located in 1,108 Mission Dioceses, are located in Africa, Asia, the Pacific Islands, remote regions of South America, and formerly Communist countries in Europe, the parts of the world most significantly impacted by climate change. Agenzia Fides, the information service of the Pontifical Mission Societies, offers daily news from the Church around the world on their website www.fides.org/en and through a free email subscription. The Fides archives are searchable by country and by topic, for example, water, environment, etc. making this website a terrific resource. Invite a Missionary speaker to our parish to learn first- hand the challenges and joys of the local churches in Mission Dioceses. There is no fee to schedule a speaker through the Archdiocesan Pontifical Mission Societies office; however, we do ask that your parish respond by inviting participants to make a sacrificial offering to be distributed to dioceses around the world. More information and scheduling forms here. Pray the World Mission Rosary and for Missionaries working in the countries most affected by climate change. Click here for prayer resources, including the World Mission Rosary prayer intentions. The Poloni Home for Orphans in the Diocese of Kondoa, Tanzania, received $10,000 from the Missionary Childhood Association to provide clean water. 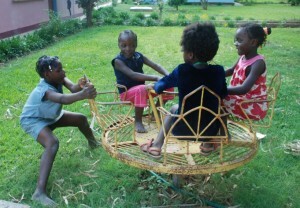 A typical day for the orphans begins with waking at 6 am, followed by washing, dressing and breakfast. They attend school from 8 am to 12.30 pm. Then there is a break for lunch and a siesta in the heat of the day. Afterwards there are chores. Depending on the age and ability of the child, that might involve cleaning or gardening, feeding chickens or helping with washing. Like most orphanages feeding the children is a major expense so the property has poultry, a small dairy and a market garden. The rest of the afternoon is taken up with playing sport or entertainment. This is followed by personal cleaning, showering, prayers, dinner, home work or study, and bedtime by 9 pm! Your donations to the Pontifical Mission Societies provided $15,000 to the Monrovia Archdiocese in Liberia for the purchase of solar panels and installation in two rural parishes. $2,000 was donated to the neighboring Tanzanian Diocese of Mbeya for a solor system for the new parish of Butonga. Donations to the Societies has also made a difference in Uganda with almost $10,000 in finances to install solar lighting systems at the Holy Family Bukalasa Minor Seminary in Masaka and at the St. Kizito Minor Seminary in Nandere. 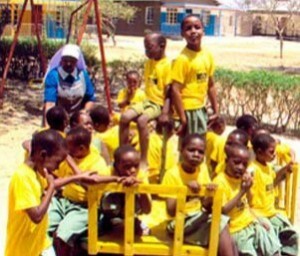 $6,000 provides food supplies to the Mporokoso School for the Blind in the Archdiocese of Kasama, Zambia while an additional $6,000 is given to the St. Joseph the Worker Small Home is the Kakamega Diocese in the African country of Kenya. 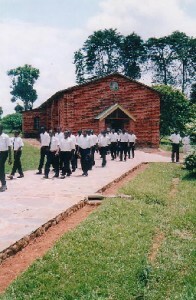 In the same country of Kenya, $5,000 feed many at the Matiya parish in the Zomba diocese. Food and medicine totaling over $14,000 for the year is provided to poor children in the Diocese of Balasore, India and $5,000 helps children in the Patriarch Alessandria Dei Copti in Egypt. 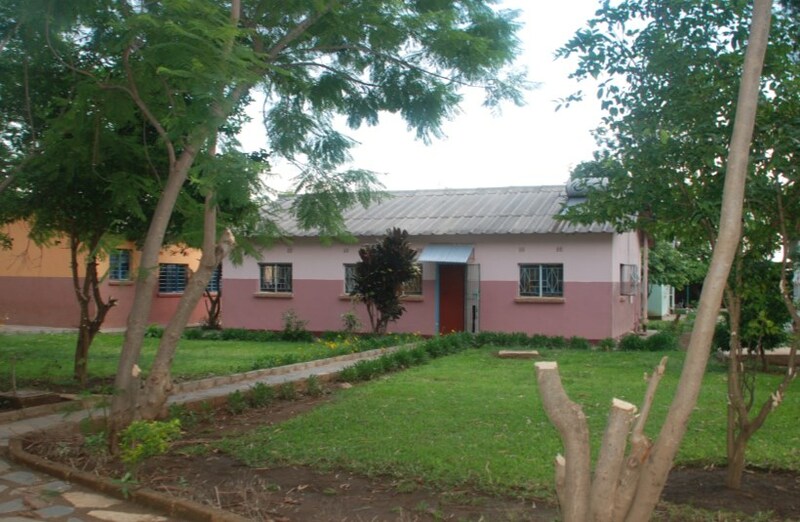 In the Archdiocese of Lusaka in Zambia, $4,000 is given for health care and nutrition to the Nyumba Yanga Orphanage, which is one of several projects which were created to help relieve the suffering of children orphaned by HIV/AIDS. 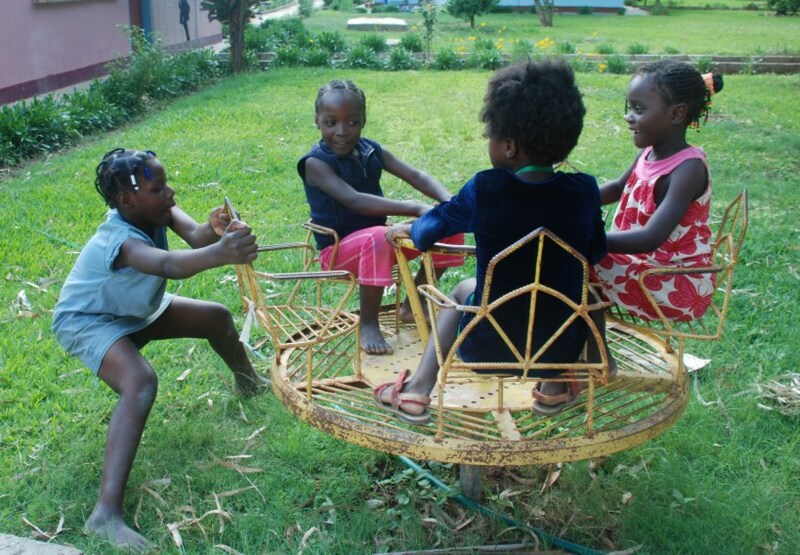 It provides care for the most vulnerable group of children; girls who have lost both parents. Zambia is a country which is severely afflicted by the HIV/AIDS pandemic where an estimated one million children are affected and orphaned by the disease.The orphans attend private schools as their traumatic past requires a more attentive school atmosphere than the governmental schools can offer, and these schools also offer a higher quality education. Private schools offer 30 students per teacher, compared to 60 or more in most government schools. The orphanage also gives the girls training in various income-generating activities, such as rabbit and chicken rearing, gardening, rosary beading and painting. These activities provide the girls with more nutritive balanced diets and practical skills, while also providing much needed income for the home itself. For instance, the sale of surplus chicken approximately covers bills for the orphanage.